It has not been an easy road taking on the Billion Dollar Mobile Operators seeking to hold on to the Status Quo. After Bart’s Recognition in 2001 (Winning the GSMA Technology Award) he attracted the attention of BT (Formerly British Telecom) who had lost their Mobile Telephone Spectrum License during the UK deregulation & privatization. They saw Bart’s Technology as an opportunity to create a new Mobile Identity in Europe and the rest of the world. A JV was created in The Netherlands where BT & Alcatel had a minority share in new company called INMO created to make Bart’s vision of Total Global Call Control a reality. BT & Alcatel invested an estimated 22 million in the project. This really put Bart on the world stage and made many of the large operators reconsider their initial animosity towards Bart inventions. Sadly, the merger Alcatel was going through with Lucent and the internal conflict going on within BT made the pace of progress within INMO incredibly slow and impossible to live with. This had frustrated many of Mike’s pilot projects who was at that time working independently to market solutions built on INMO products under development. To part company amicably, this JV was sold to BT in 2008 and the Roamobi Project continued independently from this point forward. In 2013 – Mike, Bart Snr & Bart Jnr formalized their desire to continue their path alone to complete the building of a completely proprietary Mobile Platform which would be completely VENDOR FREE that is free of being built and controlled by any components owned by conventional vendors such as leading HLR, Billing, CSR & SIM Vendors – whom are standing in the path of true innovation. Other innovators are trying to achieve this by SDNs (Software Defined Networks) but in Roamobi’s opinion this will only suit the large MNOs who wish to hold on to their position of control. Roamobi’s vision is to hand control to the customer and relegate the MNOs to mere “Pipes” in the Mobile Ecosystem. As can be seen today with the battle taking place between leading mobile device manufactures like Apple & Google and the leading MNOs & SIM manufactures – in an effort to remove obstacles for more user freedom to choose whom they want to provide their local and global communication needs – it is unlikely that the ultimate solution can materialize while these powerful entities continue to fight for ultimate control. This leaves an opportunity for Roamobi to slip in under the radar and vest the power from the incumbent MNOs and pass it to the customer who can chose on which “Pipes” to route their services. So the ROAMOBI TEAM stands on the threshold of seeing their original vision of a Totally Uniform Global Communication Platform – Free of the restraints of the incumbent players who strive to maintain their control. ROAMOBI has the know-how to remove the barriers such as the physical SIM card and its various form factors devised by incumbents to hamper competition. It is now feasible to remove all traditional vendors and to virtualize the SIM and bring about total control by the consumer rather than by the provider! 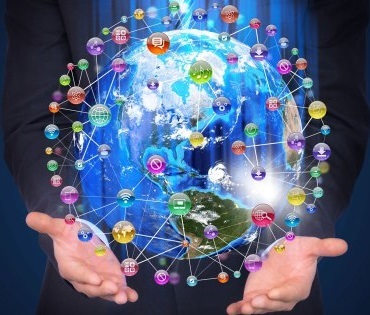 Thus group of Mobile Industry veterans have combined their resources in mobile technologies in 2016 – Their ultimate goal is to build out our Global Mobile Overlay Network using a wholesale model and create a new alternative to MVNO (Mobile Virtual Network Operator) called VMSP (Virtual Mobile Service Provider). These commercial vehicles would provide a Global SIM service to end users which would primarily attract the hundreds of millions of mobile subscribers who regularly cross international borders. This would include private and corporate users. The Roamobi Global Mobile Network was able to launch a commercially viable product in 2013. The initial global SIM offered customers a significantly more user friendly experience when travelling and massive cost savings. 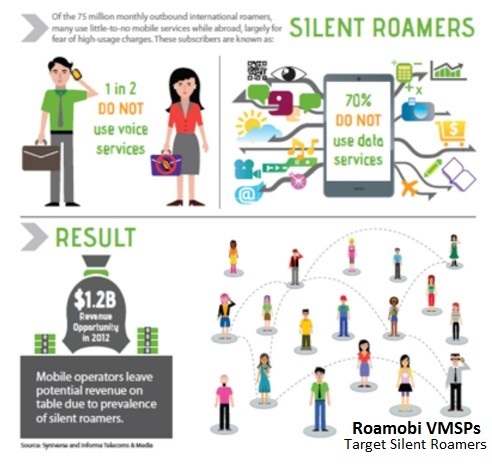 Often called the “Silent Roamer” an estimated 75 million individuals who travel still do not use their mobile due to “Bill Shock” experiences or fear of expensive charges from their home network – Roamobi seeks to also tap into this additional user group through dramatically reduced offerings including low-cost bundles. Users wanting to have a better call quality and lower costs on voice and to enjoy data access with near to local pricing combined with a Smart Phone mobile communication application for managing all services. 5. The ability to provide a revolutionary indoor coverage solution based on operator Spectrum, WIFI & LTE. Develop Cloud based mobile virtual iPBX services based on ROAMOBI indoor coverage solutions. It is estimated that eventually 70-90% of all mobile traffic will be offloaded through Value Added Indoor Solutions through both licensed and unlicensed spectrums. The ROAMOBI partners believe that convergence of local mobile networks into a seamless global mobile network through a multi IMSI strategy offers the most cost effective model on data, voice and SMS. Any call or service is fully controlled in real-time and costs of roaming calls and SMS are significantly reduced as compared to traditional roaming. Therefore, the basic ROAMOBI offering is to have more user friendly services at better prices while operating with good margins in any mobile network.